Not everyone shares your restraint and wisdom. Okay, that’s not smart. But what IS the right strategy? 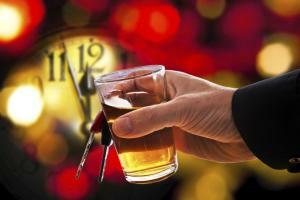 What should you do if you’re pulled over, and you believe you might be intoxicated or buzzed? Even though it’s hard, try to stay calm. Excessive anxiety about a possible DUI could just incite unhelpful behaviors or lead to dumb comments that can make the situation worse. Avoid exhibiting anger toward the officer. Stay silent as much as possible. Refusing a breathalyzer may provide enough probable cause for an arrest, and that information can be used against you in court. In many states, including California, refusing a chemical test can likely result in license suspension. It’s important to note that you can refuse a breathalyzer without jeopardizing your license if you inform the officer that you will take a blood or other test at the station, which will be more reliable. When you are released, the first thing you should do is contact a qualified attorney, who could potentially reduce the charges to reckless driving or fight for exoneration of all charges. First-offense DUI cases that don’t involve recklessness or result in injuries are fairly common, although each case has its own important subtleties. Call a Los Angeles DUI lawyer with the Kraut Law Group today for a free consultation about your challenges.